After a month’s break Jazeman Jaafar returns to racing action this weekend, heading to Budapest in Hungary for the penultimate round of the Blancpain Sprint Cup. Sharing the driving duties with Clemens Schmid, Jazeman’s regular partner in the Sprint Series, the duo will pilot the #85 HTP Motorsport Mercedes AMG GT3. A packed grid of 36 cars, representing eight manufacturers will take to the Hungaroring for the one-hour Qualifying race and Main Race at this prestigious Formula 1 track, the first visit to this circuit for the Blancpain Sprint Series. 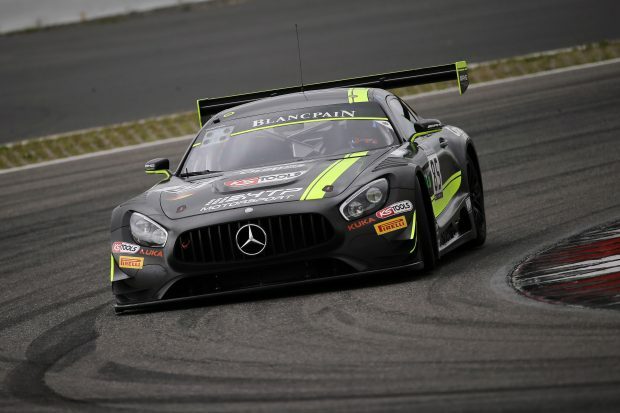 The weekend follows the regular format for the Blancpain Sprint Series with two practice sessions on Friday (26 August), three qualifying sessions on Saturday morning and the qualifying race later on Saturday afternoon. A 20 minutes warm–up on Sunday morning precedes the one-hour main race at lunchtime on Sunday. All the sessions will be shown live on the Blancpain GT Series website, www.blancpain-gt-series.com and highlights are shown on Fox Sports 3 Asia. Check local listings for details.